A directional table lamp that cleverly counterpoints materials and shapes. 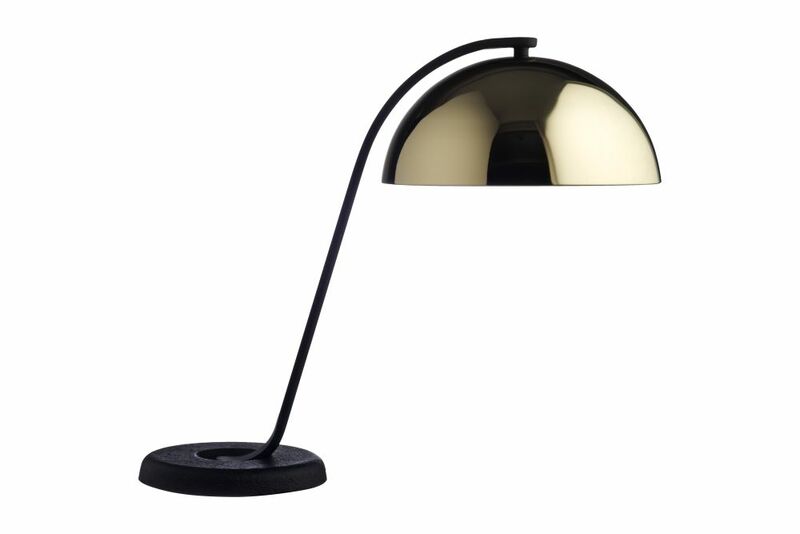 Cloche is a table top lamp providing a directional light. Its black powder coated arm and off-set cast iron base creates a visual imbalance, resembling the suspension of a traditional dining cloche. Lars Beller Fjetland is a Norwegian designer who established his own studio in 2011. He studied furniture and spatial design at the Bergen National Academy of the Arts, graduating in 2012. He won the Elle Decoration Norway designer of the year Award in 2013 and his work has received widespread critical acclaim. His approach to design is characterised by a fascination with nature, a desire to use materials in combination and a general sense of exploration. He particularly enjoys prototyping and the deep level investigation of material and form this allows. For HAY, he has designed the Moment Candle Holder.